Transaction value in the Crowdlending (Business) segment amounts to US$180,790.0m in 2019. Transaction value is expected to show an annual growth rate (CAGR 2019-2023) of 12.6% resulting in the total amount of US$290,135.5m by 2023. The average funding per campaign in the Crowdlending (Business) segment amounts to US$4,829 in 2019. From a global comparison perspective it is shown that the highest transaction value is reached in China (US$163,917m in 2019). Crowdlending platforms (also: lending-based Crowdfunding) enable small and medium-sized enterprises to get loans from single or multiple, private and institutional investors via an online brokering platform. On credit platforms such as Funding Circle, OnDeck, Kabbage and Lending Club, businesses can obtain small loans up to a set maximum value. As a rule, financing requests are analyzed by the provider via an internal scoring system and are checked against additional minimum requirements such as turnover. Subsequently, these financing requests can be invested in by private and institutional investors at an appropriate interest rate determined by the credit rating of the company. This makes it possible for SMEs to borrow quickly and easily, as the basic requirements for obtaining finance are more flexible compared to traditional bank loans. Online marketplaces, price comparison sites for bank loans and loans to companies which cannot be counted as SMEs are not included in this segment. Reading Support Total Transaction Value in the Crowdlending (Business) segment amounts to US$180,790.0m in 2019. Reading Support The Crowdlending (Business) segment is expected to show a transaction value growth of 21.2% in 2020. 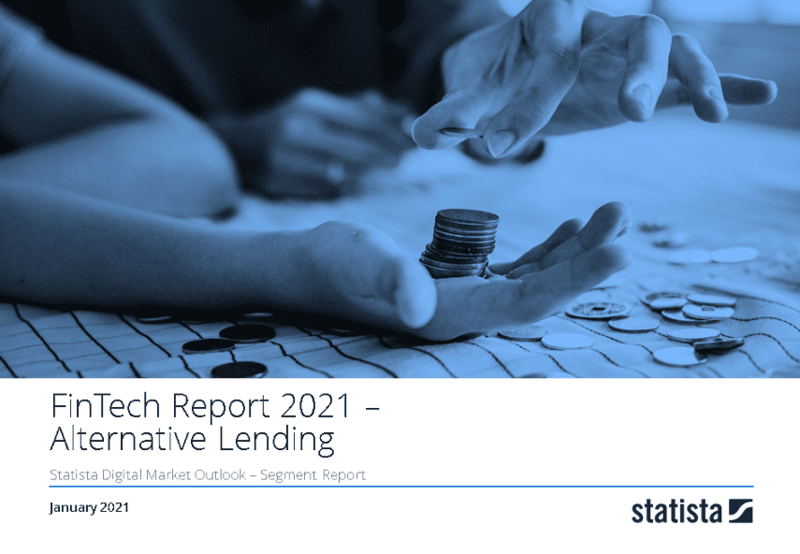 Reading Support In the Crowdlending (Business) segment, the number of successfully funded alternative loans is expected to amount to 50,671.1 thousand by 2023. Reading Support The average funding per loan in the Crowdlending (Business) segment amounts to US$4,829 in 2019. Reading Support With a total transaction value of US$163,917m in 2019, the highest value worldwide is reached in China. Here you can find more studies and statistics about "Crowdlending (Business)".